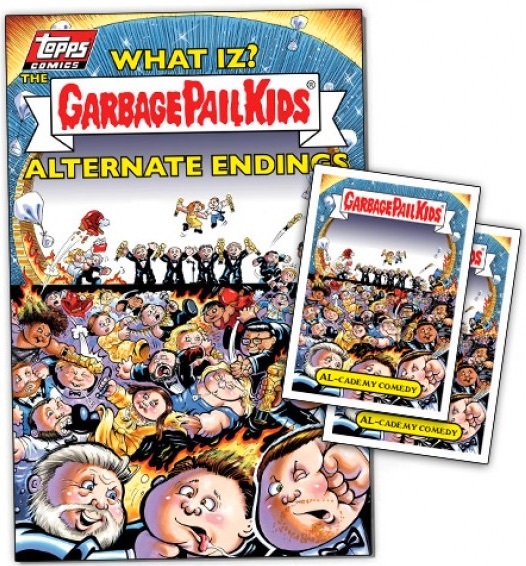 Returning to their comic book history of the '90s, 2017 Topps Garbage Pail Kids Comics sees the emergence of the colorful and comedic GPK collectibles. Every comic is limited to a one-week sales period and comes with exclusive stickers. 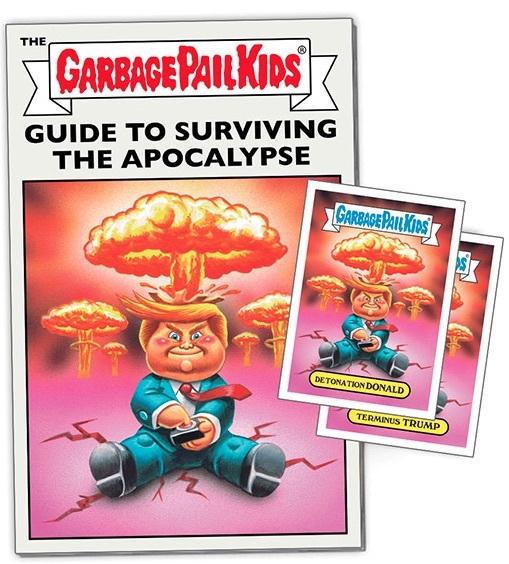 Starting with issue #1, 2017 Topps Garbage Pail Kids Comics looks to take GPK to another level with a series of weekly comic books. The comic line seems to follow the format set by many other online-exclusives from Topps. Initially sold only through Topps' online store, collectors have one week to pull the trigger before sales are ended and the print run is announced. 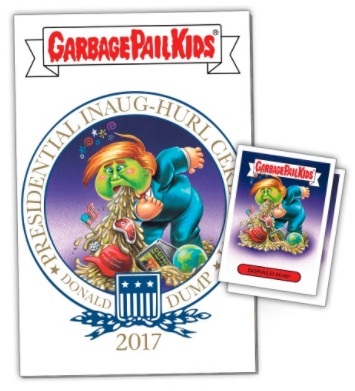 In addition to the exclusive comic, collectors can also fine two exclusive GPK stickers that correspond to the issue. In the case of issue #1, the eight-page comic was written by Pat Barrett and illustrated by Brent Engstrom. The cover artwork was painted by Joe Simko. 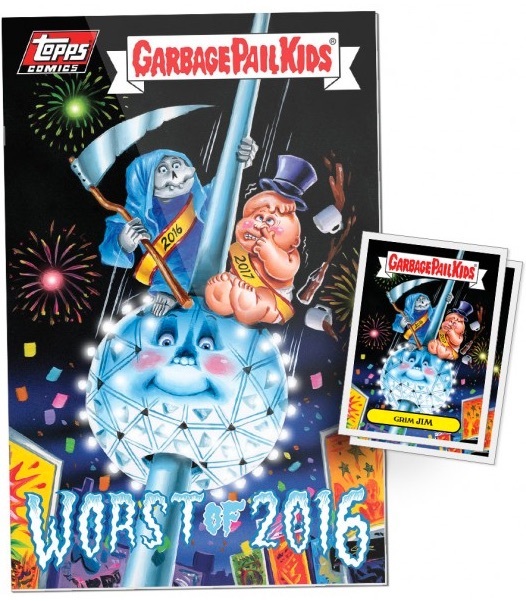 2017 Topps Garbage Pail Kids Comics issues are priced individually at $19.99 or discounted to $89.99 for a five-comic bundle. 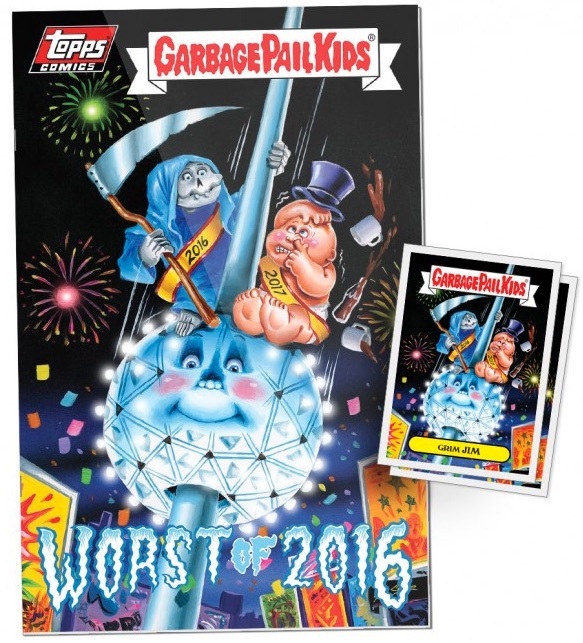 Be sure to check back as additional 2017 Topps Garbage Pail Kids Comics issues and cards are added to the guide. 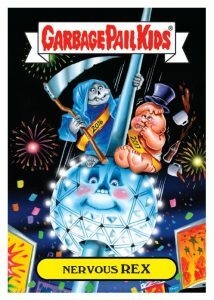 Shop available GPK comics on Topps. Ongoing set. Each comic is sold for one week before being retired. Print runs will be added when announced. Shop previous comics on eBay using the links below. Sales end 3/14/2017 at 2PM EST.